GET IT DONE. YOUR WAY. 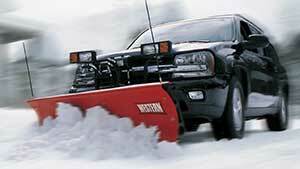 The Suburbanite™ personal snow plow's lightweight construction is designed specifically for light trucks and SUVs. 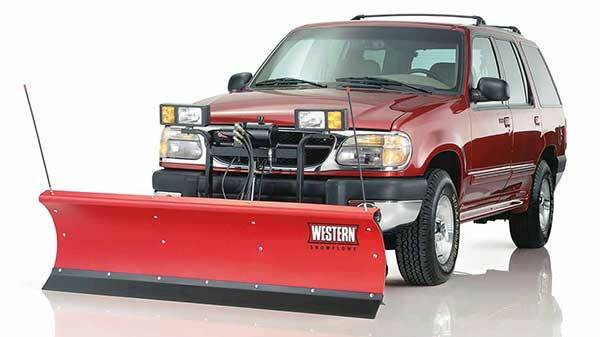 The durable, maintenance-free 21" tall, high-density polyethylene moldboard features a slick surface to enhance snow rolling. 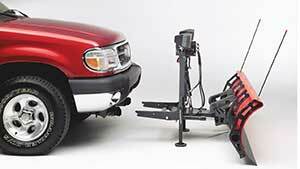 Its 45-degree attack angle makes it easy for your personal vehicle to get the job done. Available in widths of 6' 8" or 7' 4". Fast, responsive hydraulics maximize snowplowing efficiency. The exclusive scrape lock feature hydraulically locks the blade down for more efficient scraping and clean back dragging. Specially designed elastomeric trip springs on the back of the blade allow it to trip forward when an obstacle is encountered, reducing wear on your plow and vehicle. Attaching the Suburbanite™ snow plow can be done quickly and easily by one person and without tools. Simply drive into the attaching arms on the plow, then connect two spring-loaded pins. Remove the two jack stands and finally, connect the electrical plugs. 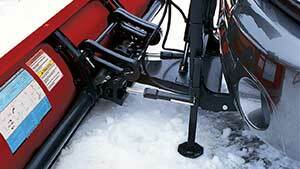 Detaching the plow is just as easy. The receivers are detachable, to maintain ground clearance.